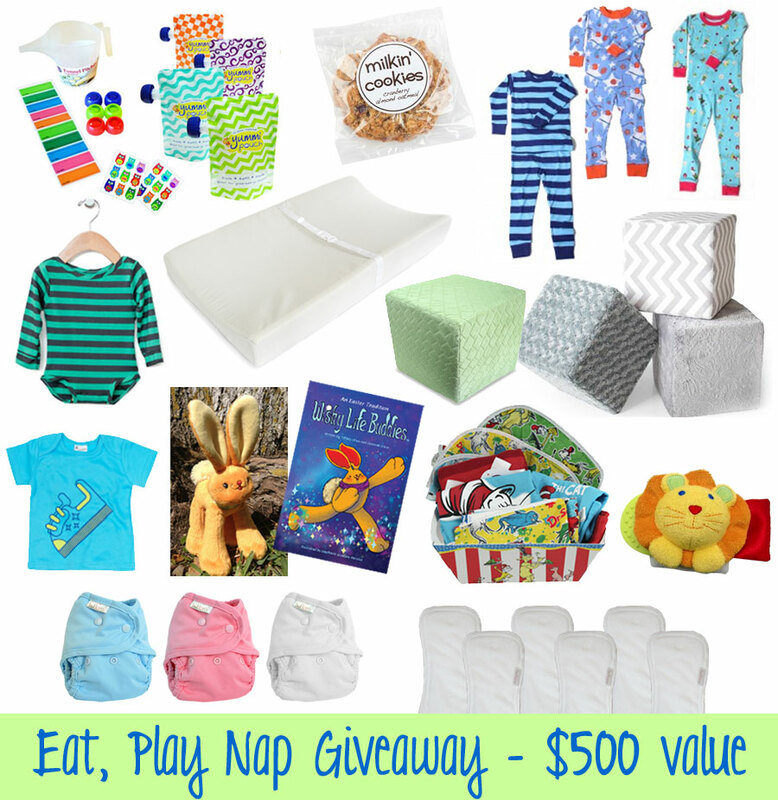 Enter to win this amazing package of essential items every baby needs for play time, snack time and nap time! Winner can choose block designs. Our deluxe version of a classic stacking toy features some of finest and softest, minky fabric you can find. At 11.5" each, they stack up as one of the largest plush blocks your children will get their little hands on. Whether you are looking for a unique addition to your nursery decor, or something your child will love to play with for years to come, these blocks have it all. They have won three toy awards and have been featured in celebrity nursery designer, Sherri Blum's, Gender Surprise nursery. Hand-made in the U.S.A. For more information visit gibouttoys.com. Winner can choose styles from online store. New Jammies were created for you! There's a world in our dreams, pure and simple. It is a world where every child is happy and healthy. This is why we created New Jammies,100% pure, natural organic cotton pajamas. Bedtime is a precious time of day for children and we love that we can help make it a little better. Our super, soft cozy Jammies with colorful, playful images, send children off to dream each and every night. When they wake, we want it to be to a world that is cleaner, brighter, and more hopeful each day! Our dream: The happiest children you've ever seen! 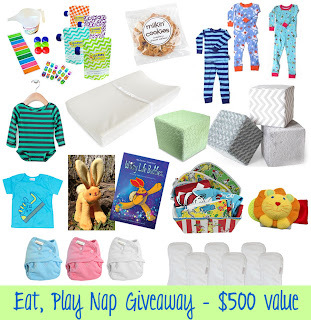 For more information visit newjammies.com. Milkin' Cookies are delicious lactation cookies for nursing moms. They include healthy ingredients to boost breast milk production. We aim to provide delicious products to make a Mommy's life easier. For more information visit milkin-cookies.com. Winner can choose style from online store. Wristy Buddy is a teething wristband designed for babies who haven't developed the motor skills to hold traditional teething devices. Wristy Buddy is made of absorbent materials to help keep little faces and clothing dry. Its various textures and colors engage and stimulate. It is easily accessible to your teething baby and is more sanitary than traditional teething objects. Wristy Buddy is machine washable and patent pending. For more information visit wristybuddy.com. The Ark™ by Ah Goo Baby® is built around our luxurious, air-molded memory foam mattress that relieves pressure points to keep your baby relaxed during changings. It is made up of billions of high-density, elastic micro cushions. When the temperature-sensitive cells come in contact with the warm areas of your baby's body, they get softer and more pliable. In cooler areas, they stay firm. The cells will literally float to conform to your baby's tiny contours. The cells shift so your baby doesn't have to. Perimeter zipper for easy removal. The blocks!! Those are awesome! Those gibout blocks I'd be most excited about. I love all the prizes, but I think my kids would be most excited about those blocks.